If you have been following Adobe AIR during its young lifetime, then you have probably noticed that it has been pretty inconsistent as far as branding goes. It has had a number of logos and graphics associated with it, including the rocket-ship, and the current "AIR" branding. Part of this was due to the surprisingly complex process of designing and settling on a logo in the technology world. There have been quite a few times during the past year where we felt that we were close to having the final logo, only to then find out that it was just a bit too familiar to some other logo in the computer / internet / tech world. Well, I am happy to say that we have the final logo. I had the honor of showing it for the first time today, at the Adobe User group meeting in Paris. I am not going to go into a detailed analysis of what the logo represents, but I do want to point out one of the core concepts behind the logo. 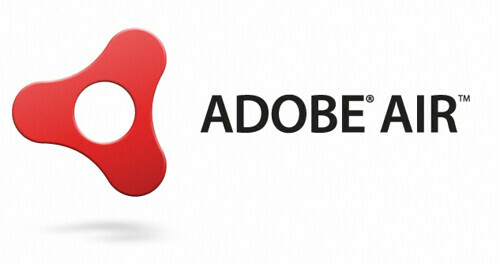 Adobe AIR is built on top of three core web technologies (HTML, Flash and PDF), and we wanted the logo to represent this. Thus, each corner of the logo represents one of these core technologies. We are going to be posting some "Download Adobe AIR" Badges (88 x 33) over the next couple of days in case you want to show your support for AIR. Feel free to build you own (if you do, post them in the comments). Who knows, if there is enough interest, maybe we will have a contest to see who can make the best Adobe AIR badge or desktop wallpaper (post in the comments if you are interested). (I will upload an vector version of the logo shortly). One last note. Normally, this is the type of information and news that we would post on the main website and not on a weblog. However, we know that the success of Adobe AIR is dependent on developers and the applications and content that they create. As we have learned from Adobe Reader and the Flash Player, content drives adoption. This is why we are posting the logo here first. We wanted the developer community to be the first to see the new logo. You can find out more information on Adobe AIR on Adobe Labs. Update : You can download vector versions of the logo here.